It is pretty obvious that I have been obsessed with white sneakers. Before the husband bought me these Feiyues, I got myself these Nikes for an upcoming trip. Purchases always seems slightly more justifiable that way. 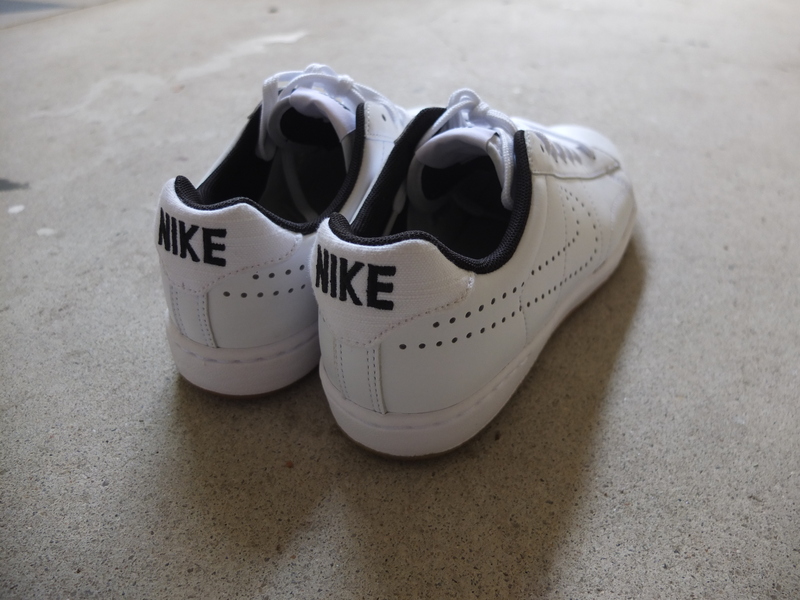 Some initial thoughts – love the clean white leather with the perforated Nike swoosh and the contrast black stitching. They did feel a little stiff the first time I wore them. Hopefully, the leather will soften with some wear. Pedder Red makes a contemporary range of shoes under the Pedder Group. I actually bought my very sparkly wedding shoes for Pedder Red some years back because I didn’t want to spend too much money on a pair which I potentially would never re-wear again.Those shoes have only seen the light of day once since the wedding day. During one particularly idle weekday lunch, I chanced upon the store display and was instantly drawn to these sparkly camouflage pumps. 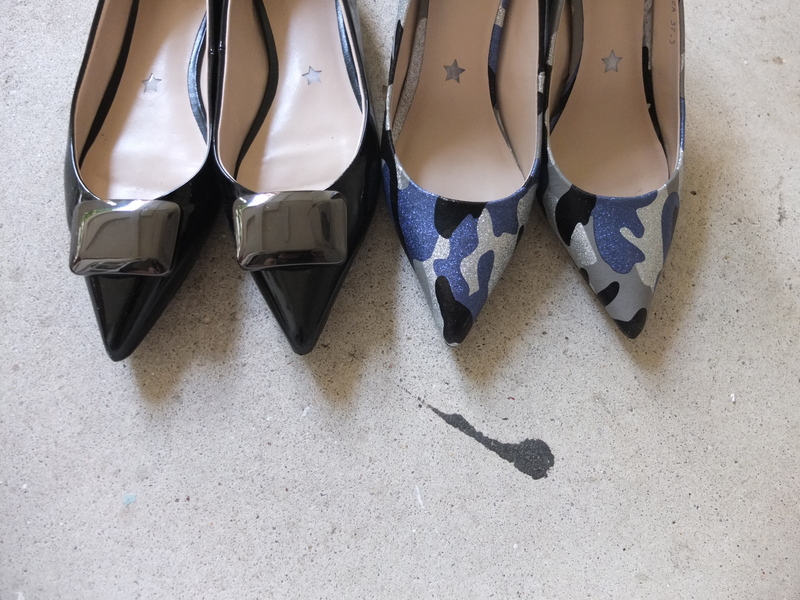 It is a classic pump but the print makes it so fun. I also added this pair because everybody needs another pair of black patent flats. What I really like about both pairs are their leather and rubber soles. They feel extremely sturdy and grip well to the ground. As much as I love me some glorious leather soles, they don’t grip as well and always make me feel paranoid that I slip and fall. I usually have the cobbler add rubber soles to them. We wrote about Feiyue here some years ago. 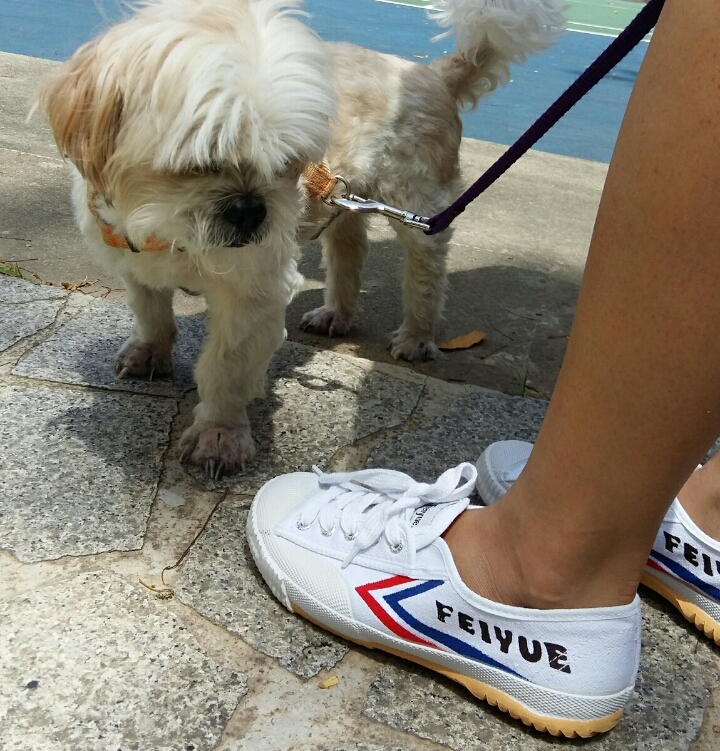 Since then, the husband has consistently added to his Feiyue collection as they are extremely affordable and comfortable. I have been wanting to add some white sneakers to my collection. During our recent taobao haul, the husband picked this pair for me for a mere SGD7. It really doesn’t get any more affordable than that! I will attest to the fact that they are really comfortable and I find myself looking forward to the weekend so I can wear them again!